I must say that I’m impressed with myself for making this series of shopping posts and actual series. A series of, um, two so far, but still. Note the patch on the mismatched sock. 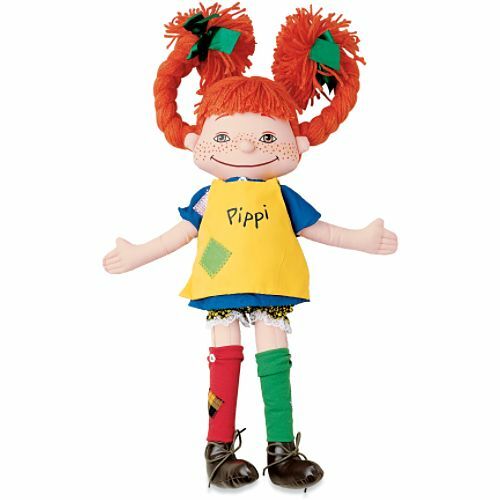 Love it, baby — although I think she would be perfect with tiny Pippi accessories, like strap-on scrubbing brushes for her feet, or a few dozen coffee mugs. A not-too bad bargain for only $18. Mmmm, makes me want to park a horse on my front porch and hide things in tree trunks for the kids next door. There are Christmas carols emanating from every pore of every shop in my town. Ordinarily this would make me cranky, but this year I have to do 99% of my holiday shopping online. So it’s time to get crackin’. 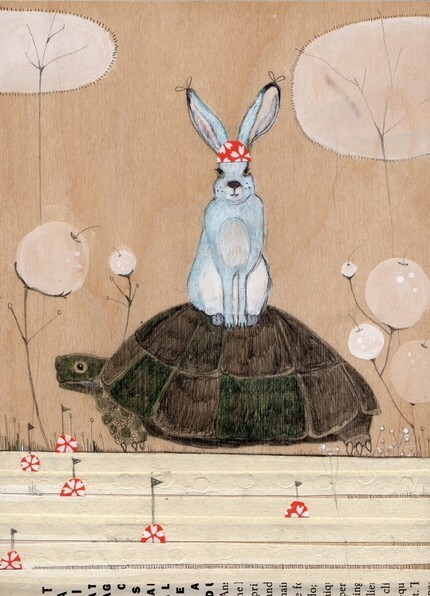 It’s the tortoise and the hare! And a whole bunch of what appear to be Starlight Mints with little flags on them! And the hare is wearing a ‘DO RAG! How much better can it get? This was created by Tara Hogan, who sells her wares through a Etsy site called Ink & Wit. She’s got a whole series prints based on Aesop fables, and a 5″x7″ print (on 8.5″x11″ paper) will run you about $35. There’s some rather attractive stationery as well.